The equinox is a moment of balance where night and day are of equal length. I think of balance of being like a stone, heavy and still, equally slow to warm or cool. Two stones can hit and cause a spark or just touch like a kiss. As a gardener, topsoil makes me think of trying to counteract the dense red Virginia clay of our local terrain. I am constantly adding compost to open the dense clay-like dirt. Often I feel that I work harder on the soil than I do on the plants I am growing. Some say that is the sign of a good gardener. When I imagine good topsoil it's very fertile. I have come to think of clay similarly. How does the clay fertilize the seeds of my ideas, enhancing their growth? 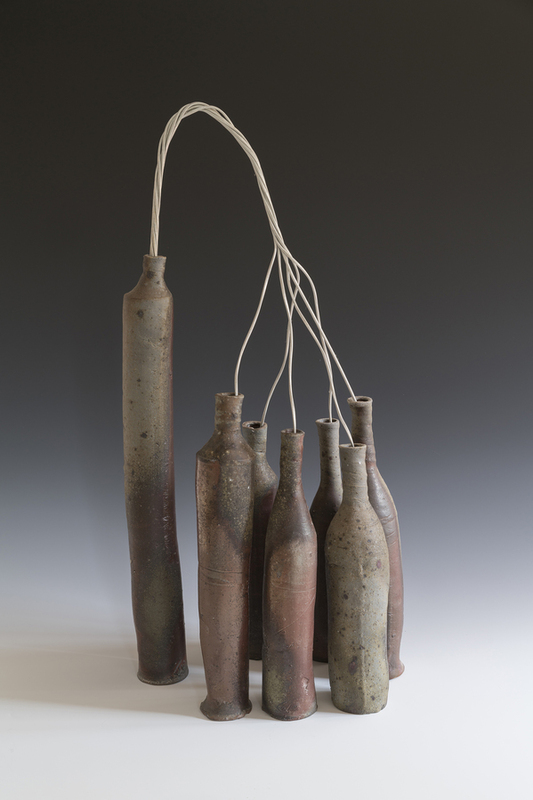 How does the kiln fire interact with the clay to enrich the object? Over the years, in my search for materials we have told our builder, farmer and excavating friends that we are looking for clay. Some call us when they find these super smooth, plastic veins of clay in their work. A dairy farmer once called to say he had a leak in his water line to the barn and they had to dig up his whole barnyard. It was a difficult clay, locally known as blackjack--super sticky when wet and killer hard when dry. I went to visit and he filled my pickup truck with his loader saying, "I would love something of beauty to come from this giant mess." Even though this clay was cantankerous, his desire became a reason to find a way forward. Oftentimes the clay that we have gotten from these calls and deliveries has been too plastic and too smooth for the variety we desire. I have come to realize that our search is for more of a plastic soil than a pure clay. A material with character, composed with a variety of naturally occurring grits that can open up the smooth, tight surface of our standard body yet still accept with grace, the ash deposits of our kiln. When I buy cider or vegetables at our rural farmer's market and a vendor tells me their produce is local I once imagined they meant a few miles from our location. I now know that in fact, local cider might be coming from Pennsylvania, 100 miles away. So in my clay search I have questioned the use of the term local materials. For me, local has come to mean intriguing and accessible. That might be a two and a half hour drive to Perryville, Maryland to the Stancills mine, or even five hours to North Carolina for tantalizing new ingredients. Local has come to mean the clay is of aesthetic use and of practical availability. Nonetheless, close-by sources are exciting. I have been thrilled over the last year to visit a slowly developing pond site twenty minutes from our studio. As the excavator digs and shifts soil to create a pond I have been deeply moved by the swales of soil and dozer scrapes of the plastic clay. I bring home chunks with leaf and stick impressions. 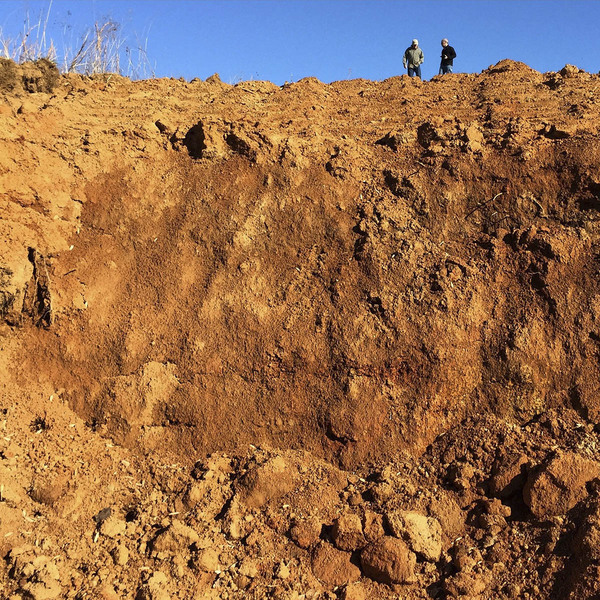 There is a quality to the raw soil, the ochre, orange and sometimes blue tones of the Virginia landscape beneath the topsoil that makes my imagination fly. I photograph tire tracks and bird prints, shadows and reflections as if each mark is a giant finger-ring or thumbprint. In 2011 Warren and I were traveling with our daughter in southern France when we sought out the town of Roussillon where ochre is mined. We went to a closed mine turned into a park where the shades of Naples yellow, sandy orange, or red were extensively exposed, contrasting starkly with green pine trees and brushy undergrowth. The sandy soil softened any sound and once again I found a state of wonder. I came to realize that I draw inspiration not from local materials, but from the complex qualities of raw, naturally occurring materials pregnant with potential. The piles, the gullies of erosion, the solid rocks contrasting with the sandy dunes were all absurd inspirations for how I work in my studio with clay. Without any plastic bags to collect samples, I had to memorize the sensations that filtered into my mind's eye. Since I was in my 20s I have often looked to my experience of painting in France as an inspiration to my work in clay. I studied painting in Aix-en-Provence where Cezanne painted. I often stood and looked at his landscape motifs with a reproduction of a painting in hand and realized how much his work was a direct response to what he was seeing and how it moved through his body to his hand and brush. As I work in Virginia and imbibe my local landscape, motifs move from my imagination out my hand. 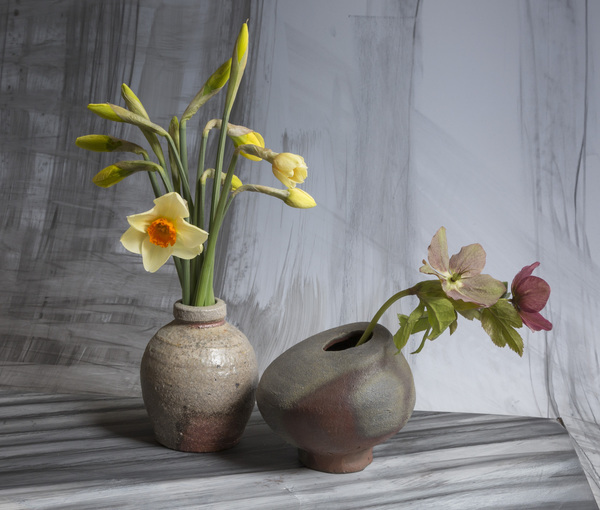 When I use found clays it is my hand collaborating with the material that creates a way of working. 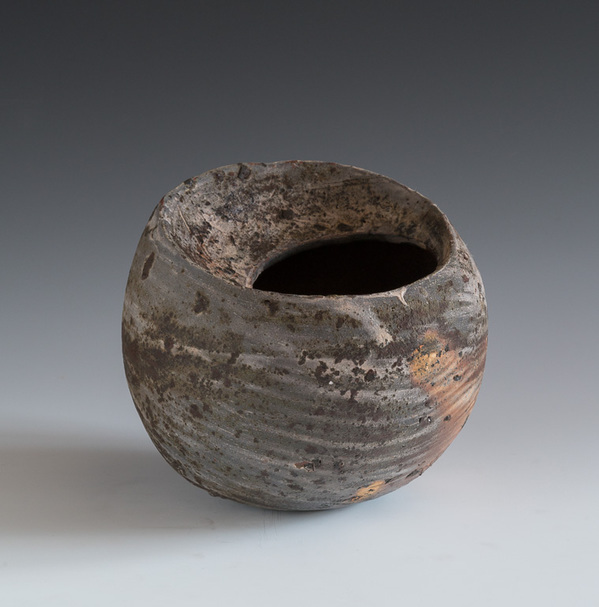 Firing the anagama is a collaboration of clay, hand, heat and ash. I have never been a purist in my approach. I mix and match in intuitive ways to get to the ideas that simmer in my head. For many years we have had a working clay body that responds well to our methods of forming and firing unglazed pots in an anagama kiln. This starting concoction is mixed by hand and pugged using industrially processed dry clays and feldspar. Departing from that basic recipe we have always sought to work with natural variations, adding portions of found or unprocessed clays. We are always searching for a balance between the wild qualities of unprocessed materials and the higher purities of industrial sources. In my work I search to capture my visions of natural erosion or even human-made patterns of excavated materials. Through experimentation I find ways of incorporating wild materials within and on the surface of my pots. This search and constant material evolution has become a fertile source for incorporating change in our work, creating excitement in each cycle of making and firing.